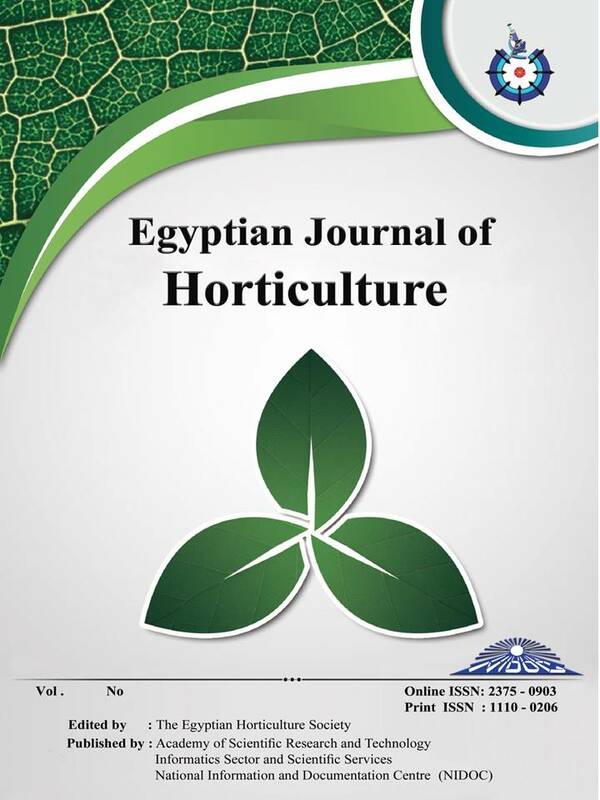 A two-year study was carried out in Alexandria, Egypt to investigate the potential compensation of thermal requirement for artichoke flowering by gibberellic acid (GA3) treatment and to evaluate the effect of combined treatment of GA3 and chitosan. The experiment comprised twelve treatments, four treatments of GA3 at 0 (control), and 25 ppm, sprayed once, twice or three times at one month interval between treatment and three levels of chitosan at 0, 150 or 300 ppm. The effect of these treatments was evaluated on plant growth, earliness, productivity, quality and yield pattern of globe artichoke of the improved local El-Baladycultivar. The results showed that plants sprayed once or twice with GA3 gave the highest values of vegetative growth, early yield and edible part fresh weight. However, spraying artichoke plants three times with GA3 resulted in the highest number of heads / plant, total yield, average head weight, head diameter and edible part diameter. Moreover, spraying chitosan at 300 ppm significantly increased plant growth characters, head yield and its components. In addition, the interaction treatments between spraying artichoke plants two times with GA3 and chitosan at 150 ppm gave the highest values for early yield. However, total yield favored spraying plants three times with GA3 and 300 ppm of chitosan. The results showed that the percentage of yield pattern distribution for the plants treated three times with GA3 as average of both seasons, were 27.9 and 29.4 % compared to 25.6 and 27.4 % for the non-treated plants in both seasons, respectively. On the other hand, applying chitosan at 300 ppm gave 27.4 and 36.3 % compared to 24.2 and 26.7% for the control plants in both seasons.